<s> tag used to show a text with strikethrough or a line through it. <s> is used to represent things no longer relevant, correct or accurate. This is deprecated now we can use <del> instead. <s> tag supports Global Attributes and Event Attributes. <s> tag belongs to Flow content and phrasing content. 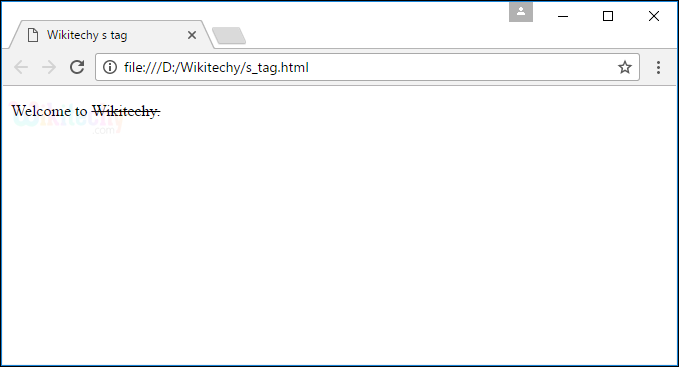 <s> tag is deprecated in HTML 4. In HTML 5 <s> tag is used to define the text no longer correct. <s> tag used to show the strikethrough text. 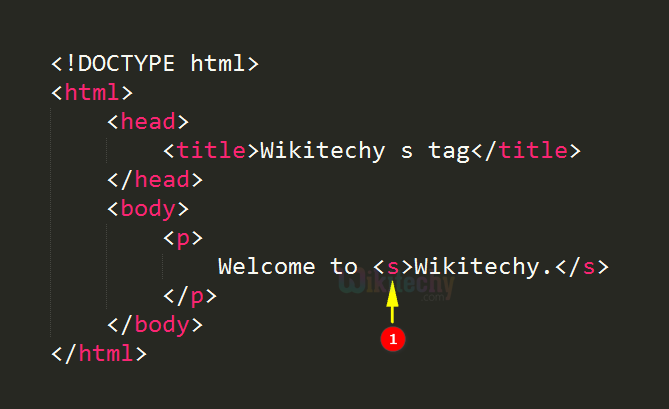 The word “Wikitechy” is shown in strikethrough format.